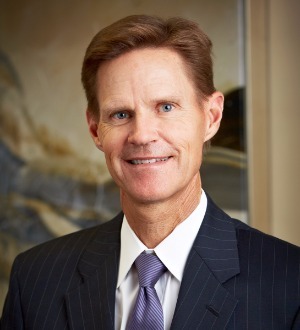 Bruce Smith represents clients in cases involving auto accidents, business torts, breach of contract, commercial disputes, products liability, insurance claims, deceptive trade practices, will contests, nursing home liability, and federal tort claims. In 2016, he added mediation and arbitration to his practice. There are many lawyers who claim to be “trial lawyers,” but few of them truly have trial experience. Since 1986, Mr. Smith has tried more than 60 cases to verdict, including many cases while Mr. Smith was working for insurance carriers and corporations. His highly successful work in those cases included many complete defense verdicts for his clients. Mr. Smith has been recognized and selected by his peers to The Best Lawyers in America in 2018-2019, the Texas Super Lawyers list in 2008, 2009, 2010, 2013, 2014 and 2018, and he earned an “AV Preeminent” rating from Lexis Nexis Martindale-Hubbell, the highest ranking offered by the independent guide to the country’s top lawyers. In 2015, he was inducted into the American College of Trial Lawyers.